Well hello, blog, fancy meeting you here. Yeah........hi, everyone. It's been a while. And I really wish I had something spectacular to say now. Maybe that's my problem. I've been waiting around for spectacularness and it's just not happening. Although, I did see The Hunger Games (twice) and that was pretty spectacular. I thought I was going to be team Gale all the way (because, hello, it's Liam Hemsworth.....which, btw, can I just say, the Hemsworths have the best gene pool in the world. Those parents should've had a few more kids because their combination obviously worked very well. I think a picture is in order.). There are actually three brothers, but I couldn't find a good pic with all three. On another note (or the same one) I'm very happy with Australia's contributions to the world. They are doing very well per capita in my opinion. Now, where was I? The Hemsworth brothers got my mind all jumbled. Oh yes, team Gale. 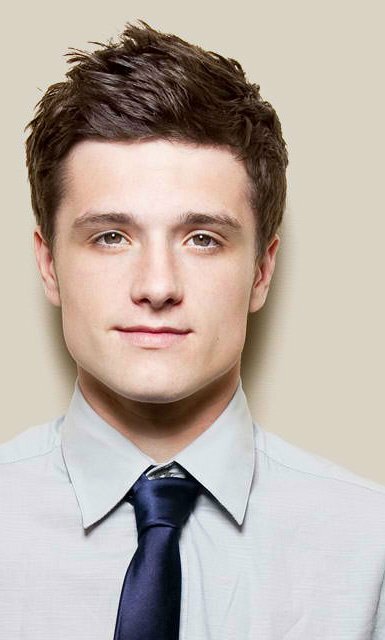 I thought I was going to be team Gale all the way, but Josh really did an amazing job. He surprised me and got me right back on the Peeta train. So that made me happy because I adored Peeta in the books and I really wanted to adore him in the movies too. Also, I discovered a new actor in this movie who I didn't know existed before. Wes Bentley. I know he pretty much played the devil in the movie, but come on. Look at him. Team Seneca anyone? My big issue is that I'm reluctant to give writing advice (in case you couldn't tell over the course of the last 4 years of this blog). Why? Well, because I usually end up changing my mind or finding the exception. I can never give definitive advice. Some things work for some people and not for others. And to just constantly tell people to write what you love and keep writing and never give up, seems a bit repetitive. But there you have it. I've said it again. But, if you ever have a question, feel free to ask and maybe I'll turn it into a blog post where I say my opinion followed by lots of: 'but this doesn't work for everyone' and 'do what's best for you'. Anyone have any fun plans for spring break? If not, go look at the Hemsworth brothers again. Ooh. Hemsworthes. (Hemsworths? Hemsworth's?) You're blog just became one of my favorites. I'm not Team Peeta, Team Gale, or Team Seneca. 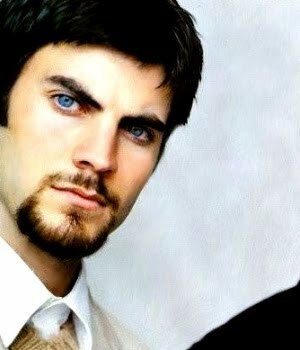 I'm Team Seneca Crane's Beard. Cuz come on. THAT's my extended bit of writing advice. tl;dr Write what you know, and find out about what you don't know so you can write it! Oh and, because I have your attention and you asked, so I get to complain: Spring break involves a lot of spring cleaning, dust, and sneezing. That is some solid advice, Riv. :) I agree. I have lots of people who have helped me along the way. Also, Team Seneca's Beard is an excellent team to be a member of. I'm a big fan of the beard. :) And cleaning?!? No thanks. What was the question?? I was too busy staring at the brothers. As I said on Facebook: Seneca was AMAZEBALLS. I hardly even noticed/remembered him in the books, but the movie (and Wes Bentley) really brought him to life in a fantastic, nuanced way! Wahoo, I'm glad someone else appreciated Seneca like I did. Are we friends on Facebook? I think I would've remembered if you said he was amazeballs. Hmm, I'll have to check. I enjoyed the Hunger Games movie but wasn't in love with it. I wished they had spent more time developing the character relationships especially K&P. Neither actor did a bad job I just wanted more! MOAAAR, I tell you. Anyway I am so glad to see you blogging aga--ohhhhh Seneca's eyes....wait, what? Rachel, thank you so much. That means a lot to me. I loved Sliding Doors as well. So much. I hope you enjoy my book. And as for HG, I think it's hard to convey the character development from a book into a movie without risking slowing it down too much and messing with pacing. But I hear you, it would've been nice to have more, even if it was just a little more. Maybe the second movie will make up for it. We can always hope. Woah...hold on...my world just blew up. THOSE TWO ARE BROTHERS??!! I always called Liam's brother "that ridiculously hot Thor guy" thus, the relationship was not immediately obvious. I KNOW, RIGHT!!??? When I found this out (Candi told me) my mind exploded. But yes, you research the water. Do you think a trip to Australia is in order for us to research it properly?? I think it's the only way. Kasie, allow me to give you some advice on how to write regular and vital blog posts, because we all know I'm the QUEEN of that, amiright?? Ha! I think I was studying your blog and that was the problem. :) We definitely have the same blogging schedule. Also, how did so many of us not realize those two were brothers? I would think someone would feel the need to announce that fact every day with a picture. Someone has failed us here. But I have set the world right again. I consider it my duty. Can I just say that I'm totally team Finnick. I don't know who's going to be playing him, but in my mind, he's the most attractive character in all of literature... or possibly the second-most attractive. No one beats Gilbert Blythe. Ever. I would like to be on all those teams. ALL OF THEM. And that's pretty spectacular. Ha!